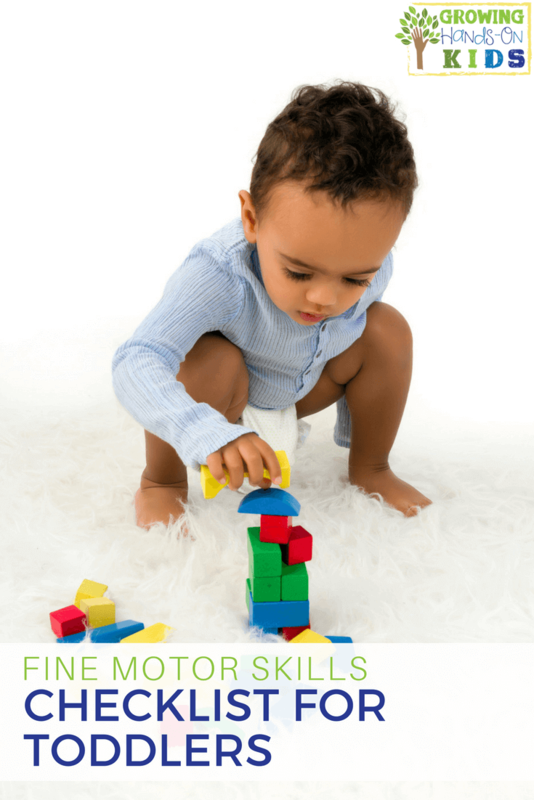 Over the last few weeks I've been sharing some fine motor skill checklist ideas to help improve fine motor development. 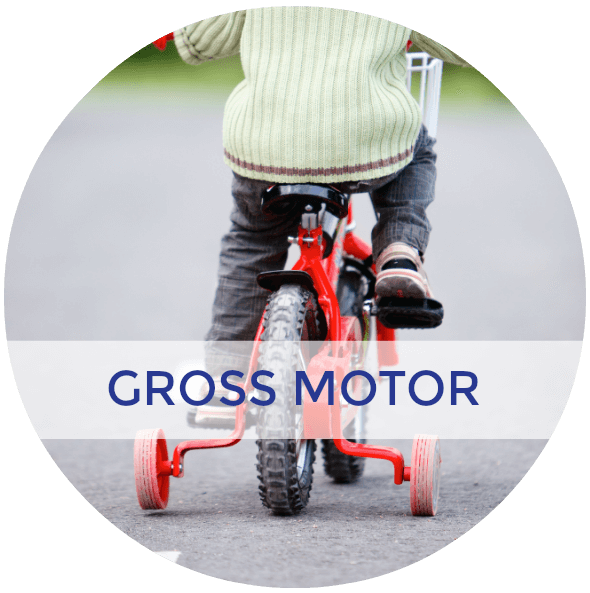 You've probably seen many news articles talking about how children are reaching Kindergarten with decreased fine motor skills. 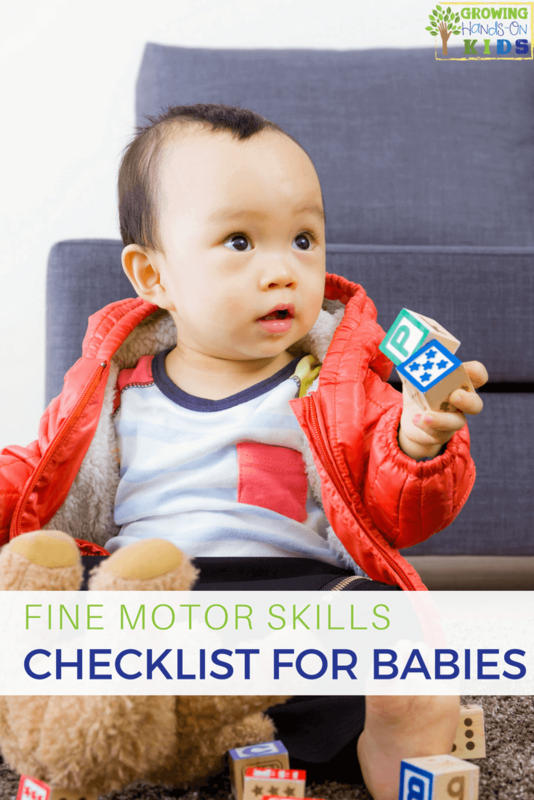 By providing these checklists, I am hoping to give you an idea of what your child should be doing from the time they are born, until early elementary age. 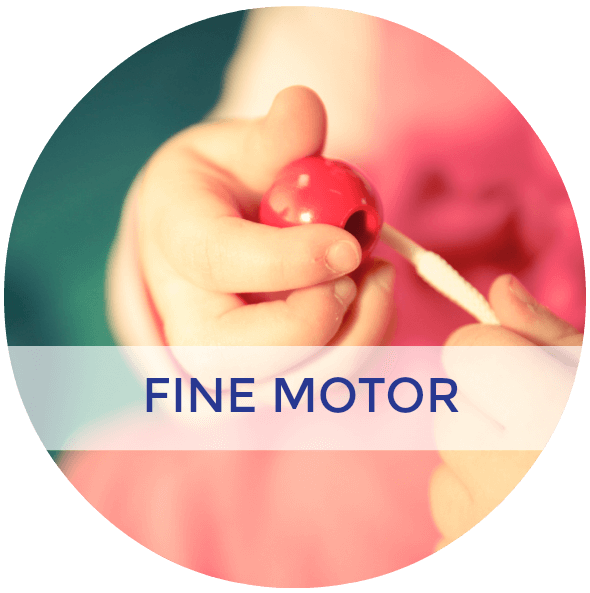 Today's fine motor skills checklist is for early elementary (ages 6 and 6+). This is the age that we typically think of Kindergarten and 1st grade. If you homeschool, your Kindergarten child may be 6, depending on when you decide to start and when your state's compulsory school age is. 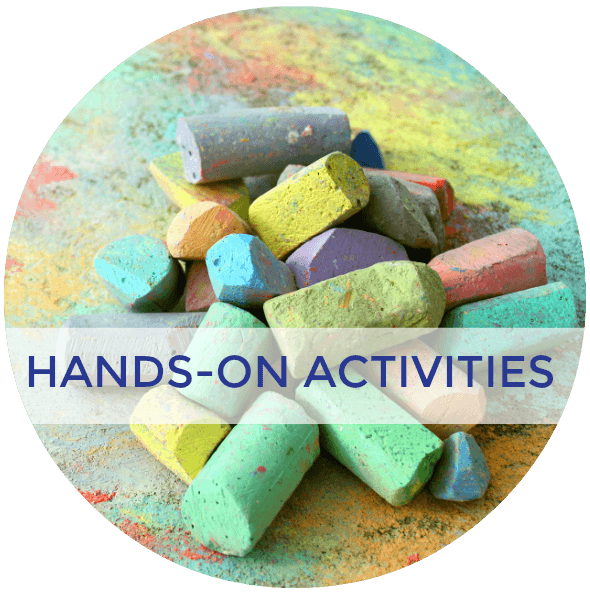 Many of the skills are more academic in nature, but remember hands-on fine motor activities are still important at this age. Builds a small structure with blocks. Can put a 16-20 piece puzzle together. Uses a knife to cut food. Cuts well with scissors, no deviations from the cutting line. Prints 3 or more simple words. Can print all numbers 0-9. 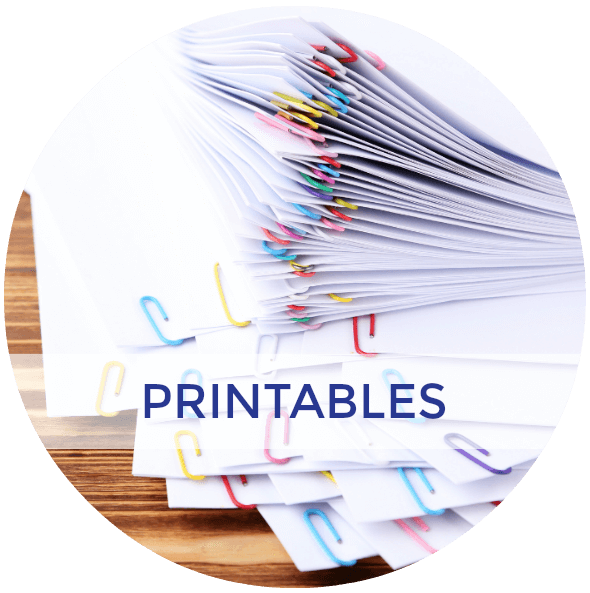 Can print all letters of the alphabet, upper case and lower case. Use all eating utensils appropriately. 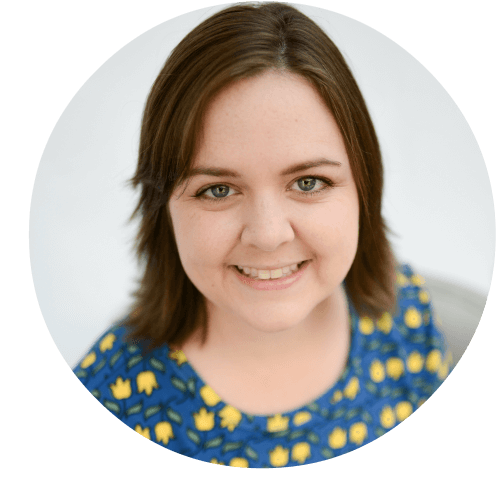 Help with household chores (sweeping, moping, dusting etc). Able to take care of pets (feeding, grooming, walking etc). 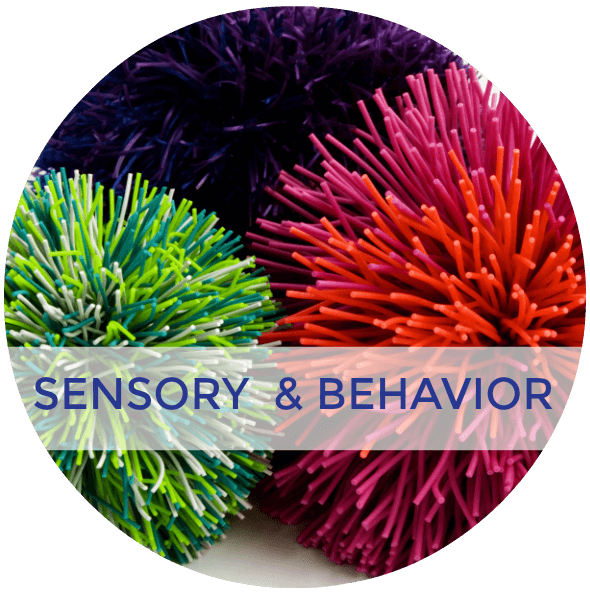 Draw detailed and complex shapes or pictures. 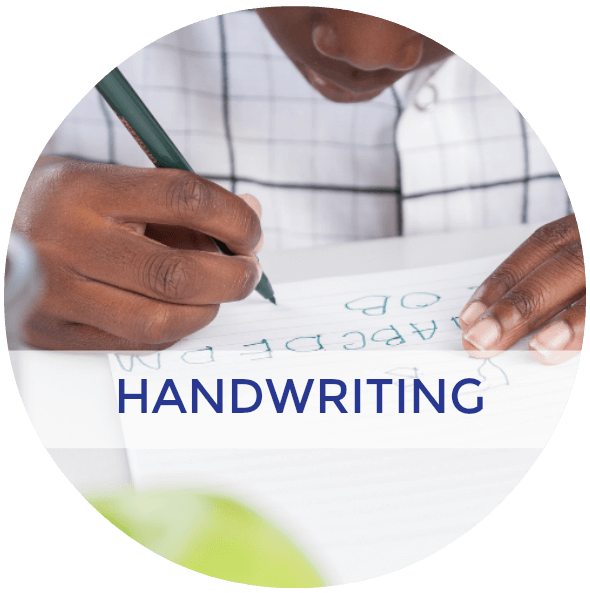 Begin to develop writing and handwriting habits and skills. Can compete in sports activities appropriately. 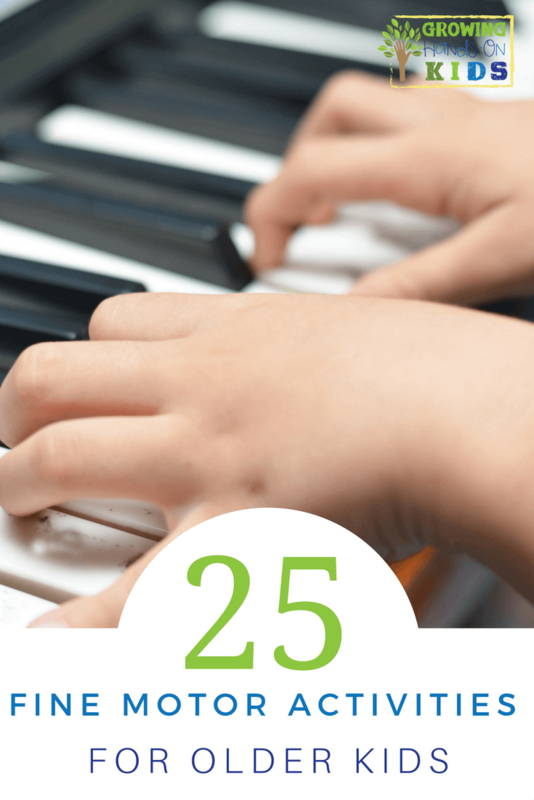 Have hobbies they enjoy and complete independently. Begin computer skills and use video games. Are able to draw with greater control and precision. Able to twist and spin in one place. 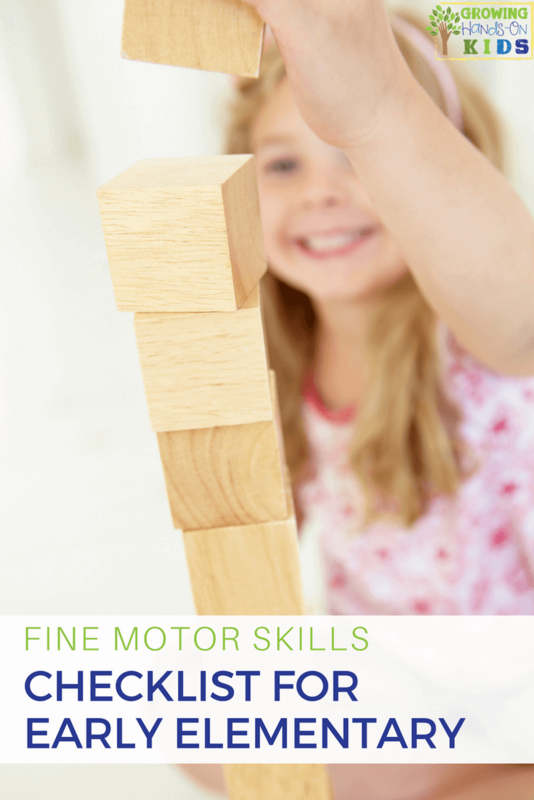 Are able to combine motor skills such as running and kicking or moves to music. 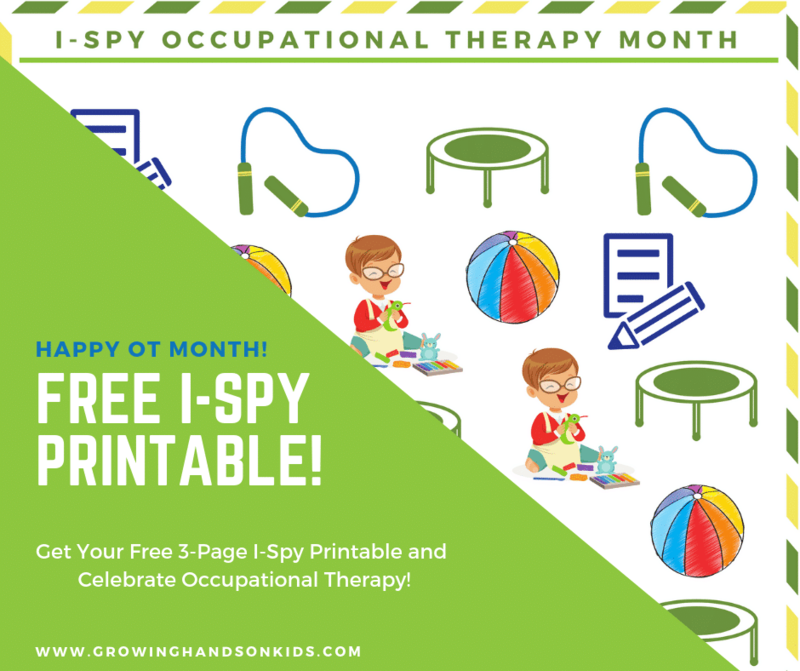 To get your free checklist, add your e-mail address to the form below and click the green “click here” button. 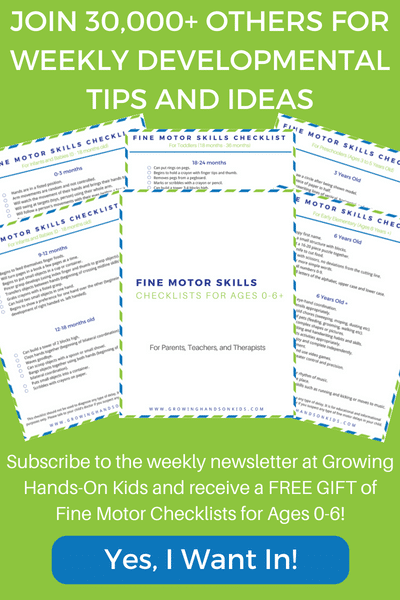 Next, head to your e-mail inbox and look for an e-mail from heather@growinghandsonkids.com (double check your spam folder or promotions tab in gmail). Click the confirm button in that e-mail and your free checklist will automatically download to your computer. 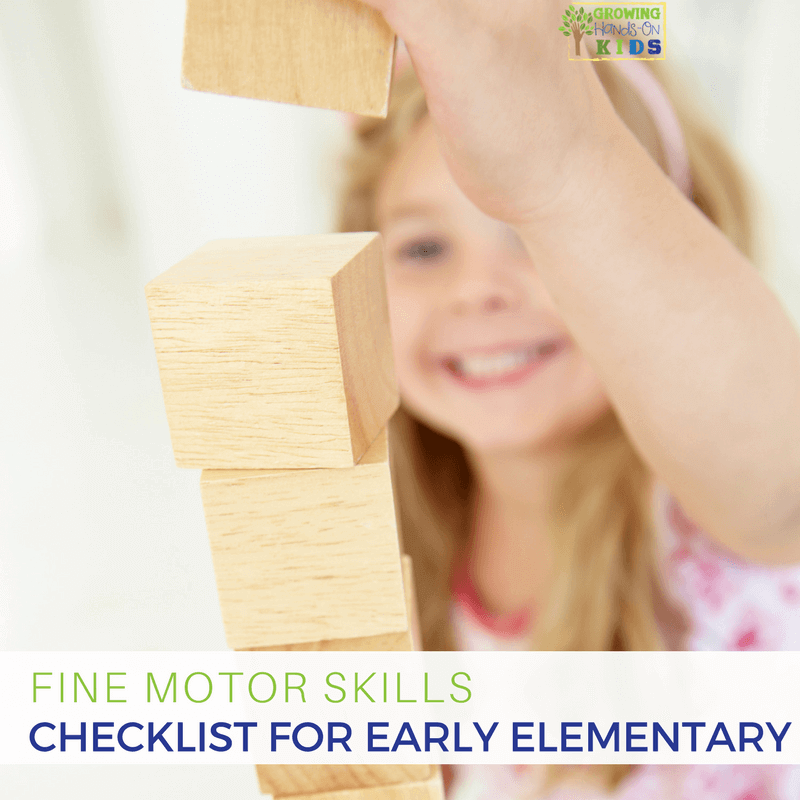 You'll also be getting 5 days of fine motor tips once you get your checklist. 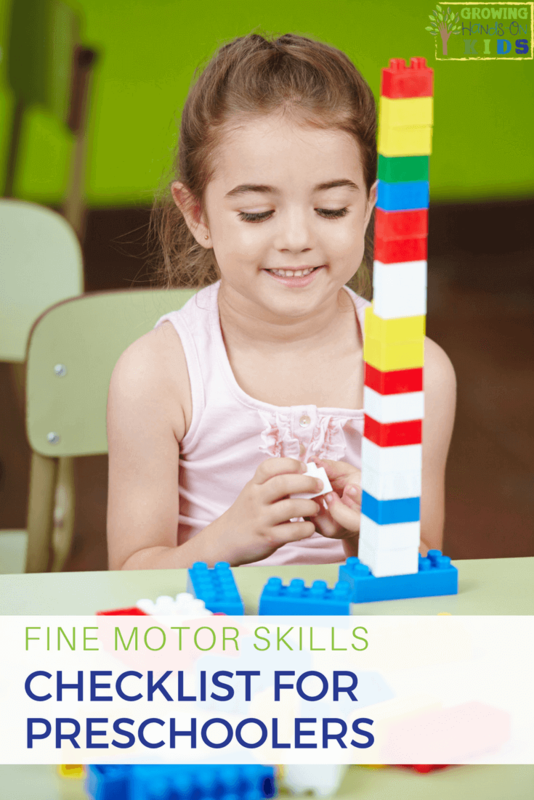 For more fine motor activity ideas, check out the resources below.